In Men and Their Religion: Honor, Hope, and Humor (2002), I proposed that men have two primary ways of being religious—the religion of honor and the religion of hope. I also proposed that because these two religions do not always have their desired outcomes, men have developed a third way of being religious, the religion of humor. In A Time To Laugh (2005) I have expanded on my claim in Men and Their Religion that if men have three religions—honor, hope, and humor—the greatest of these is humor. In the course of doing the necessary research for a book on humor, I acquired and read a few books and a host of articles that explored the psychological benefits of humor. While I did not report on these studies in the book, I believe they are relevant to the assumption that a religion will have psychological benefits for those who embrace it. 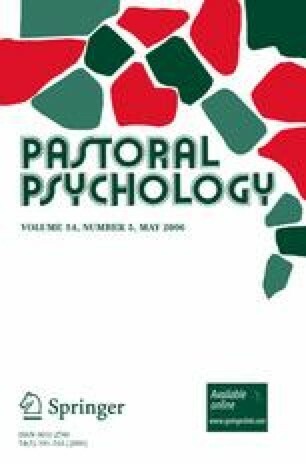 This article therefore provides a review of empirical studies of the psychological benefits of humor in order to answer the question whether a religion of humor is likely to have psychological benefits and, if so, what these might be.